Lawyers for businessman Sean Dunne have told a US court they no longer want to represent the property developer because of unpaid fees. Connecticut law firm Ziesler and Ziesler has been representing Carlow-born Dunne in lengthy bankruptcy proceedings. However, in legal filings in two related cases before the US courts, the firm asked permission to withdraw as his counsel. It claimed Mr Dunne had not paid past due attorney’s bills. According to court records, the applications to withdraw were filed in April. But they were both dismissed last month by bankruptcy judge Julie Manning. The court heard no successor law firm had been hired, and Judge Manning said she could not allow Mr Dunne to go unrepresented. The development is the latest twist in the marathon case, which has been ongoing since 2013 when Mr Dunne filed for bankruptcy with debts of around €700m. Later the same year, Mr Dunne was adjudicated bankrupt in Ireland, giving rise to unusual dual bankruptcy process in two jurisdictions. Ziesler and Ziesler has been representing the one-time ‘Baron of Ballsbridge’ in the proceedings, and a related case where a US trustee is seeking to reverse the transfer of tens of millions of euro in assets to his wife Gayle Killilea. Bankruptcy trustee Richard Coan claims the assets were fraudulently transferred and the developer still controls and benefits from them. The accusation has been denied by Mr Dunne and Ms Killilea. 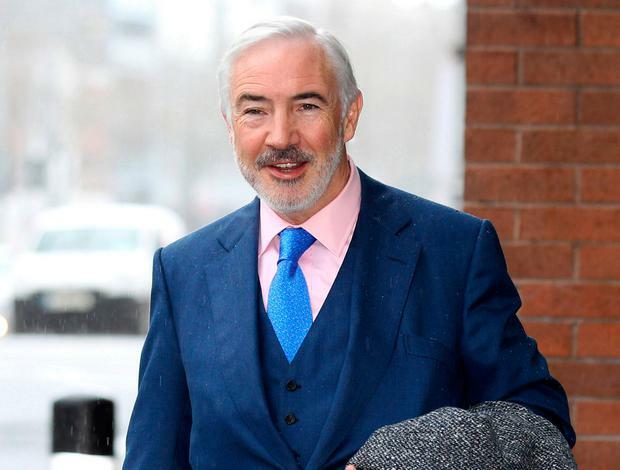 Although Mr Dunne is not a defendant in those proceedings, he has been issued with a subpoena requiring him to disclose emails about his business dealings. An Irish court was told last year by Official Assignee Chris Lehane that companies owned by Ms Killilea paid wages to Mr Dunne, which he then used to fund legal actions related to his bankruptcy.